My recent trip to Europe was centered around production meetings for a new set of shows for the Seabourn Quest. After a whirlwind trip to Paris and a Eurostar ride to London (with a little shopping and Indian food!) 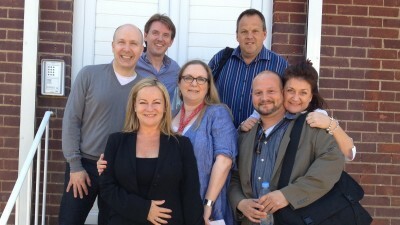 we headed to Northampton about an hour and a half north of London to meet with Belinda King and her production team. They have a beautiful new facility that was fun to visit.